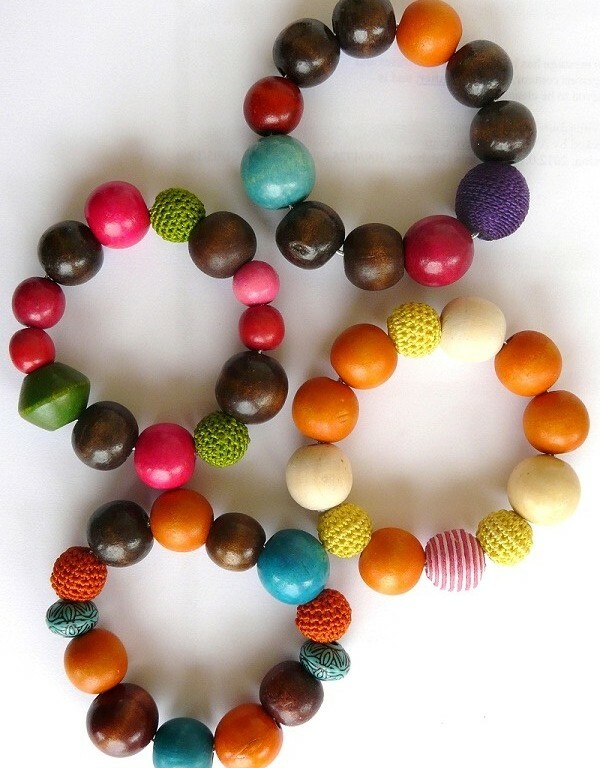 Assorted colorful wood bracelets on elastic to easily slip on and off. These chunky bracelets are cute gifts for birthdays, Christmas stocking gifts or teacher’s thank you gift. Available in the 4 colors combinations shown.